Deep vein thrombosis is associated with GnRH agonist and oral anti-androgen use and pulmonary embolism is associated with GnRH agonist use and orchiectomy. 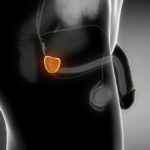 Androgen deprivation therapy (ADT) for prostate cancer can increase the risk of thromboembolic events, according to a recent systematic review and meta-analysis published online in Prostate Cancer and Prostatic Diseases. Compared with no ADT, treatment with gonadotropin-releasing hormone (GnRH) agonists alone, GnRH agonists plus oral anti-androgens (AA), and AA alone is associated with a significant 1.47-, 2.55- and 1.49-fold increased risk of deep vein thrombosis (DVT), respectively, after controlling for demographic and disease characteristics and other confounders. DVT was not significantly associated with orchiectomy. In addition, use of GnRH agonists alone and orchiectomy were associated with a significant 2.26- and 2.12-fold increased risk of pulmonary embolism, respectively. The meta-analysis, led by Shusheng Wang, MD, of Guangdong Provincial Hospital of Chinese Medicine in Guangzhou, China, included 5 retrospective population-based cohort studies involving 170,851 ADT users and 256,704 patients who were not on ADT. “These findings may contribute to the clinician’s awareness regarding the potential risk of ADT and ensure clinical management when prescribing this treatment,” the investigators concluded. Guo Z, Huang Y, Gong L, et al. Association of androgen deprivation therapy with thromboembolic events in patients with prostate cancer: a systematic review and meta-analysis. Prostate Cancer Prostatic Dis. 2018; published online ahead of print.